Why do teeth darken or turn yellow? Teeth often get discolored from years of drinking coffee, tea, and red wine, because colored pigments in these beverages can stick to tooth enamel. They also contain tannins, which help the pigments bond to teeth. Acidic foods and drinks, such as carbonated beverages, sports drinks, coffee, pickles, tomatoes, citrus fruit, and hard alcohol contribute to the problem by eroding enamel, which causes discoloration and makes it easier for pigments to stain your teeth. Tobacco products contain nicotine and tar that stain teeth a yellow-brown color. Enamel also naturally wears down as you get older, and the inner portion, the root, tends to get darker, which makes teeth appear darker. Why should you see the dentist before whitening your teeth? It’s important to get a dental checkup before using teeth whitening products, even the over-the-counter kinds. Some dental problems can affect the success of whitening, or you may have sensitivities that should be handled by a professional. For example, cavities should be treated before teeth are whitened to prevent the whitening solution from going through decayed areas and getting into the soft tissue in the center of the tooth. You’ll need to be sure that visible discoloration is from a stain that will respond to whitening products. 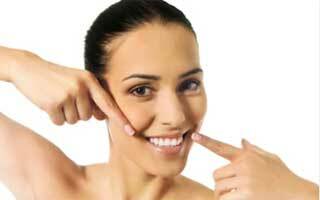 If tooth enamel is severely eroded, you may need a cosmetic treatment other than whitening. 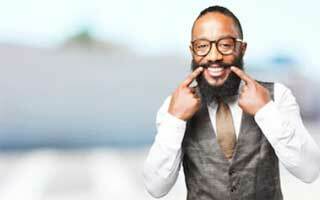 If you have receding gums, the exposed roots may appear yellow, but whitening won’t make them whiter. What whitening process does Dr. Brayman use? Visiting Dr. Braymen for a whitening procedure has several advantages beyond getting a professional exam and cleaning prior to whitening. First, you can be sure that Dr. Brayman will protect your lips and gums so they’re not irritated by the bleaching agent. Second, the procedure used in her office – Philips Zoom – produces better results more quickly. And finally, even people with sensitive teeth should be able to tolerate the Zoom process. When you come in for teeth whitening, Dr. Brayman explains how the process works, then begins by removing tartar and surface stains. Using a color chart or digital photography, the color of your teeth is recorded so you can compare it to the results. The Zoom procedure uses a whitening gel together with the Zoom WhiteSpeed light, which speeds up the process by helping the bleaching agent break up stains. After 15 minutes, the gel is removed so Dr. Brayman can check the results. Most people need three gel applications, so the entire treatment only takes 45-60 minutes.